Working with ISO Images in the vSphere Client. Here are a couple of basic guides I put together for the VMware ITN classes at TCC. 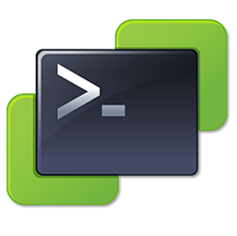 Back to basics for sure, but not everyone works with vSphere environments regularly, so this provides a guides for basic tasks – Uploading an ISO Image to a ESXi Datastore and Attaching an ISO Image on a local disk to a Virtual Machine. I have been working on a project to provide labs for the VMware IT Academy Program and the Cyber Security Program offered at Tidewater Community College. This post covers the process I followed and includes some of the resources I found helpful for replacing the default self-signed certificates with certificates signed by a CA. If you are looking to fulfill the training requirements necessary to obtain your VCP but you don’t have the time (or cash) to dedicate to a straight week of VMware instructor led training check with your local community college or technical school they may participate in the VMware IT Academy Program. The VMware IT Academy Program or VITA allows qualified schools to offer VMware training.